In 1980, Austrian entrepreneur Johann Graf’s vision led him to create a game development company; today, we know this company as global power-force Novomatic. The company’s ‘winning technology’ slogan is confident and accurate and when it comes to research and development, Novomatic is definitely a trendsetter. Click here to read more. With over 24,000 employees and business interests in 80+ countries, Novomatic’s expansion into online gaming came with the acquisition of Greentube, a well-established and leading provider of online and mobile gaming options. Due to recent expansion, the company has two more names under its umbrella: Extreme Live Gaming and Mazooma Interactive Gaming. With three-times Formula 1 champion Niki Lauda as brand ambassador and six-year president of the European Lotteries Association Friedrich Stickler on board as a consultant, the Novomatic Group enjoys the support of many trustworthy people. Harald Neumann is the chairman of the executive board (CEO). A team of 11 takes responsibility for Novomatic UK, with most members having both a company role and special responsibility for one acquisition; for example, Zane Mersich is CEO and managing director of Astra Games, while John Austin is a director and managing director of Bell-Fruit Games. Novomatic has a strong sense of corporate social responsibility, offering its products and operations only in well-regulated markets with precise regulatory frameworks. The company has clear action plans designed to support the concept of responsible gaming, which helps to prevent addiction and underage players gaining access. 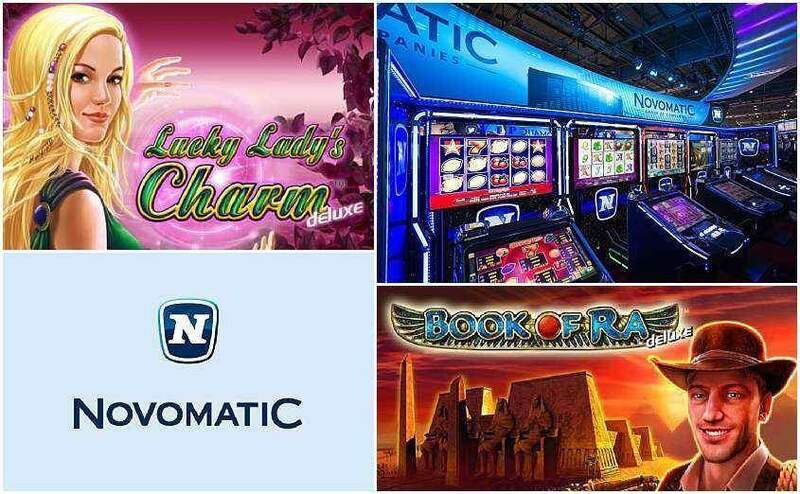 Novomatic provide a very wide choice of games, with over 230 video slots, both free and pay-to-play, in addition to multi-games, table games and more. Its online slot games have a huge fan base that appreciates the well-developed products Novomatic delivers. Popular in the free slots category are favourites such as 4 Reel Kings, African Simba, Aztec Power, Bananas go Bahamas, Mega Joker and Riches of India. Games including Dolphin’s Pearl, Sizzling Hot, and Lucky Lady’s Charm have seen deluxe versions created as a result of their popularity. The games designed by Novomatic may not be the flashiest on the scene but their fans love the style and the possibility of winning a handsome payout. All games can be played for real money, just for fun or for practice. The main focus of Novomatic’s online games is slots, although skill-based games are also featured at times. Players do not need to download software or do anything special to play the games offered by Novomatic, as they can be played directly in a browser. Players who want to access the games while they are away from their desktop or laptop can play on tablets and smartphones, regardless of their operating system. All games are fully optimised to deliver the same high-quality experience regardless of whether they are played on a static or mobile device. Novomatic is a well-established company that offers both an exciting range of products and a genuine commitment to both the gaming industry and to the players.